Blueberries are in season, and they went on sale at work, so I bought a couple pints. I got them home, washed them up and threw them into a bowl for the hubby and I to share as a snack. 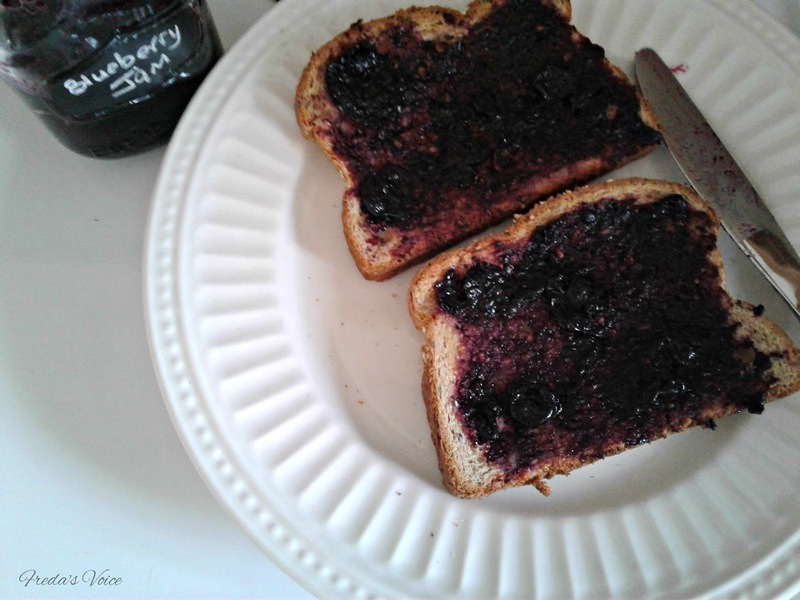 I was the only one eating them, so I decided to make a quick refrigerator jam that is easy to make and yummy to eat. In a saucepan, add blueberries, sugar, lime juice and the zest of one lime. Cook over medium heat for about 20-25 minutes, until the mixture cooks down and starts to thicken. Add the mixture to a small mason jar and let cool. Put in the fridge. Can store in the fridge for up to one month. **Recipe and photo is owned by Freda's Voice. Thanks for sharing. I love blueberries. Happy eating, Freda. Sounds great! I love blueberries.